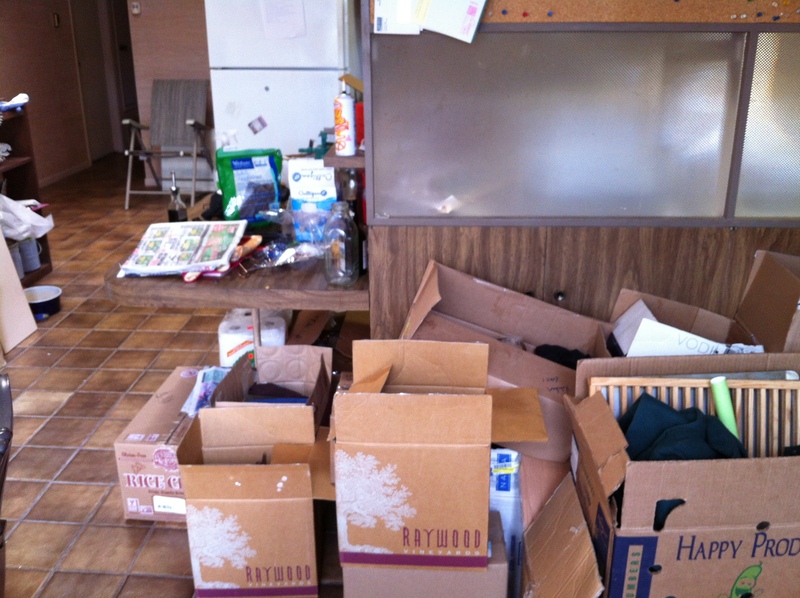 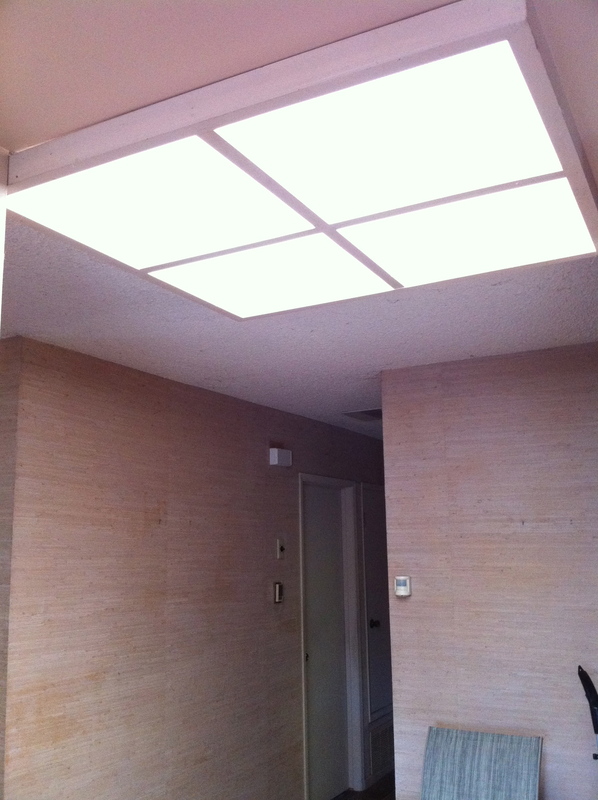 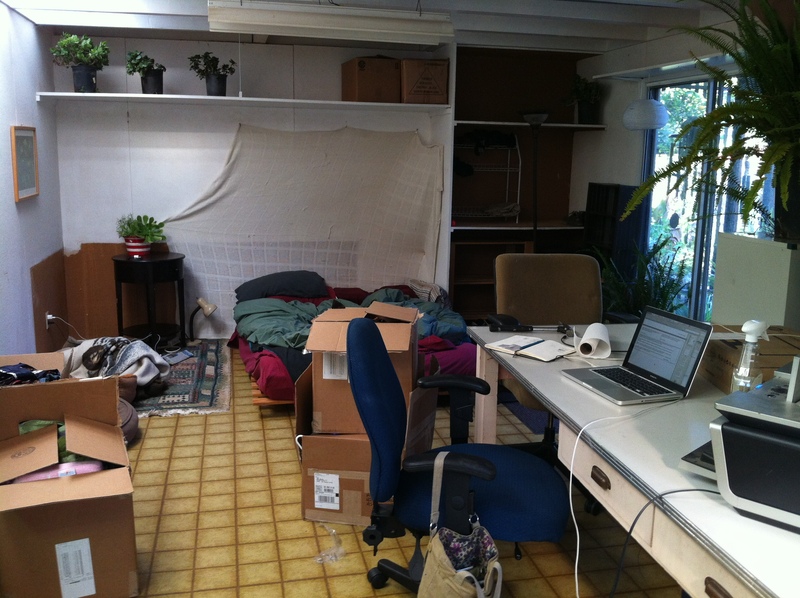 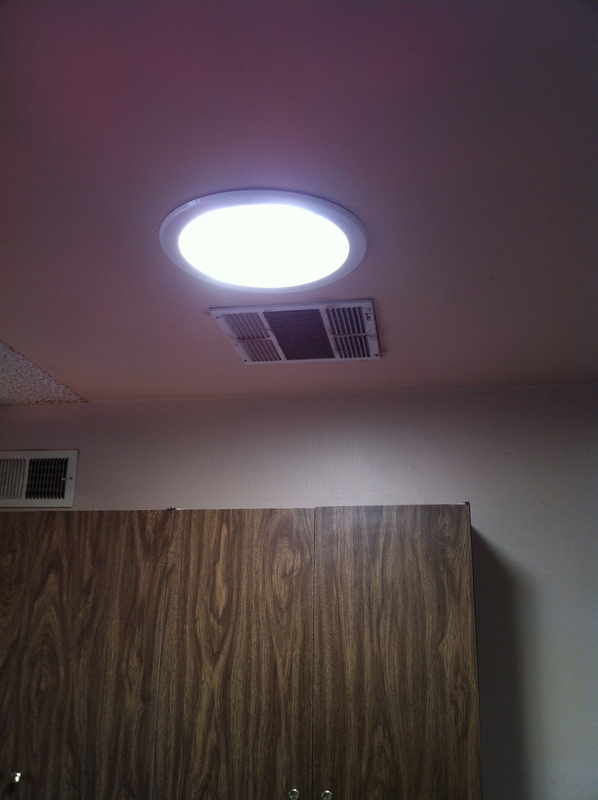 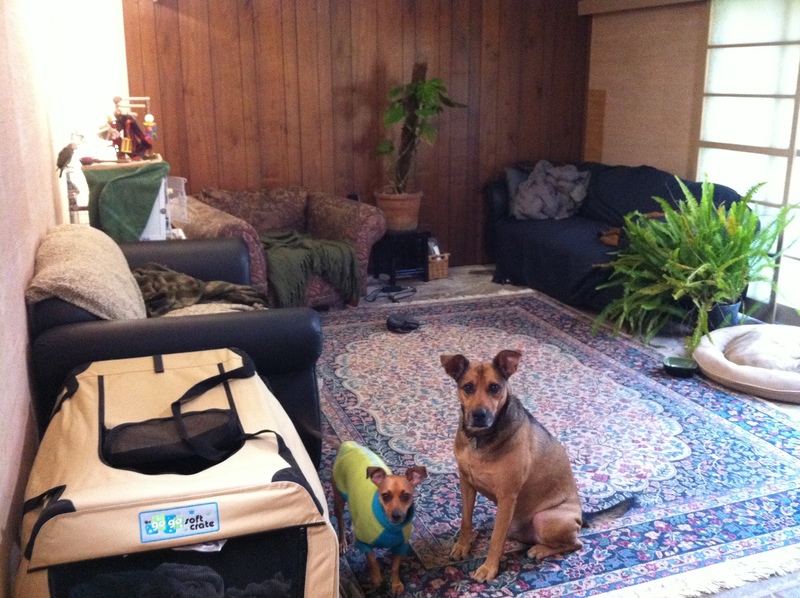 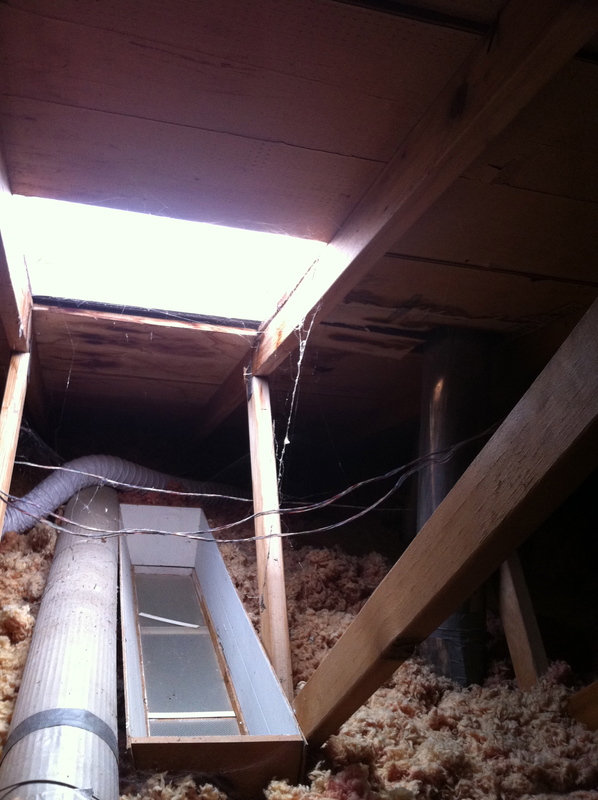 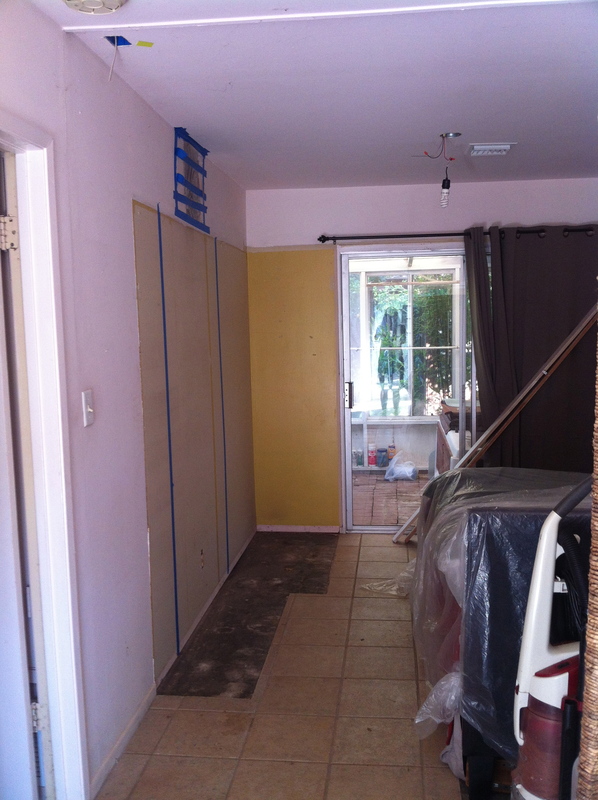 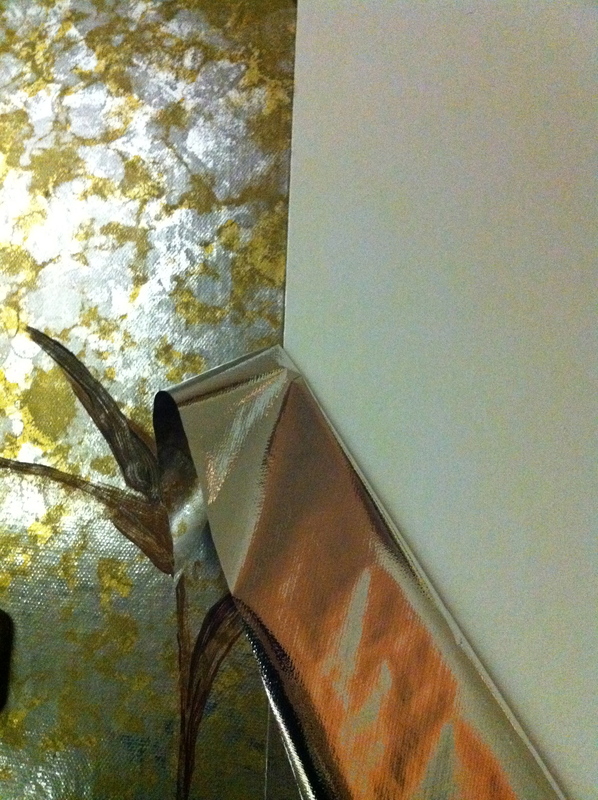 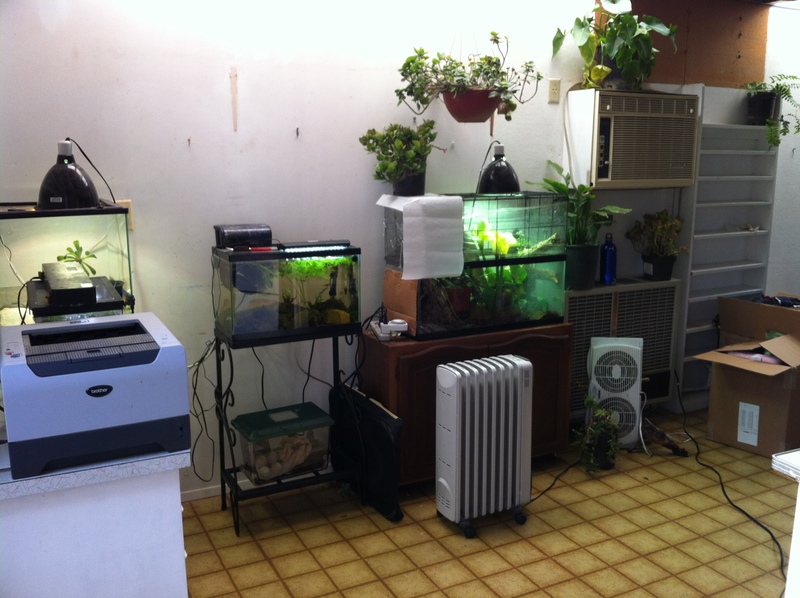 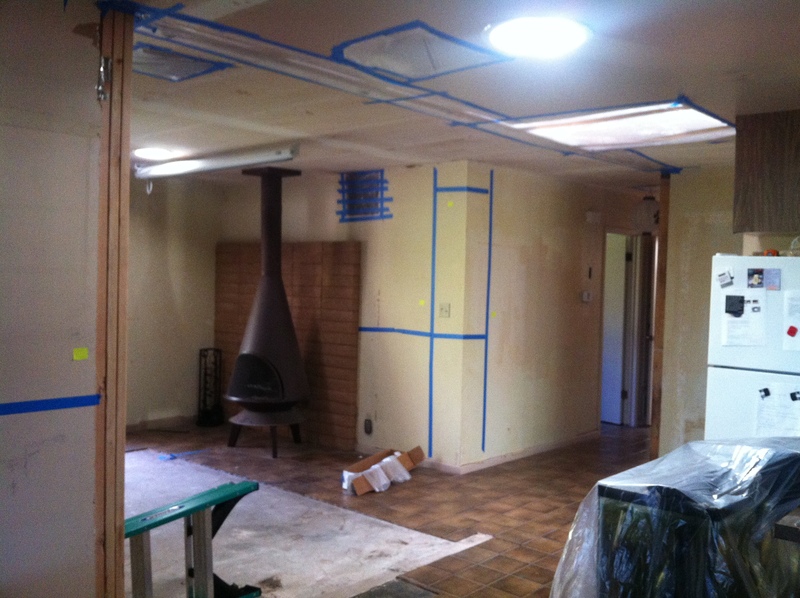 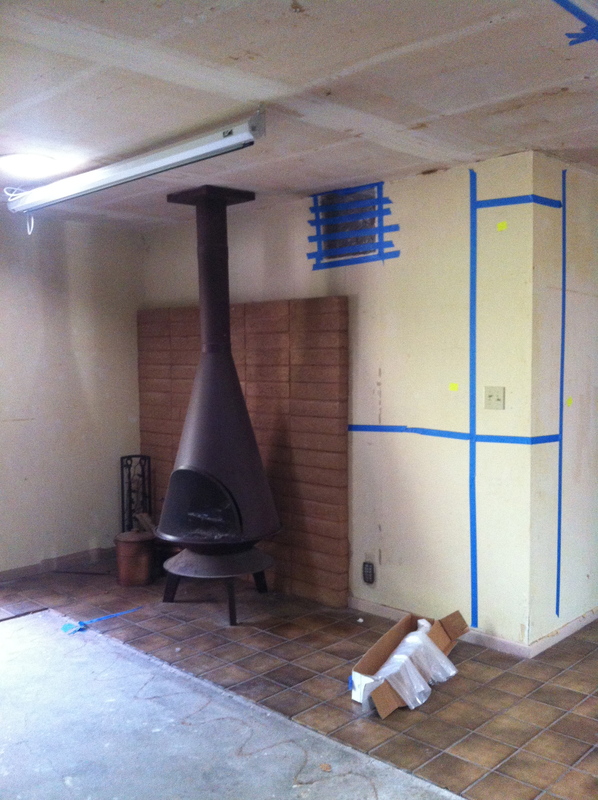 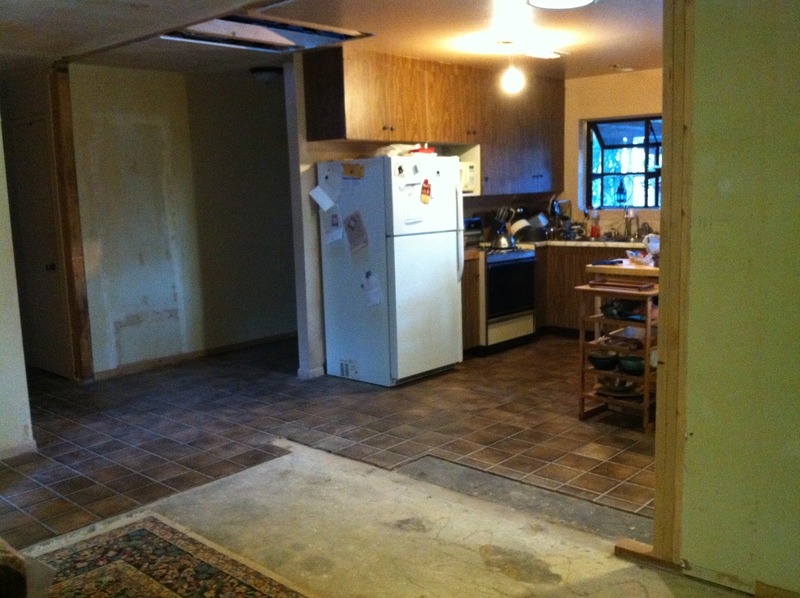 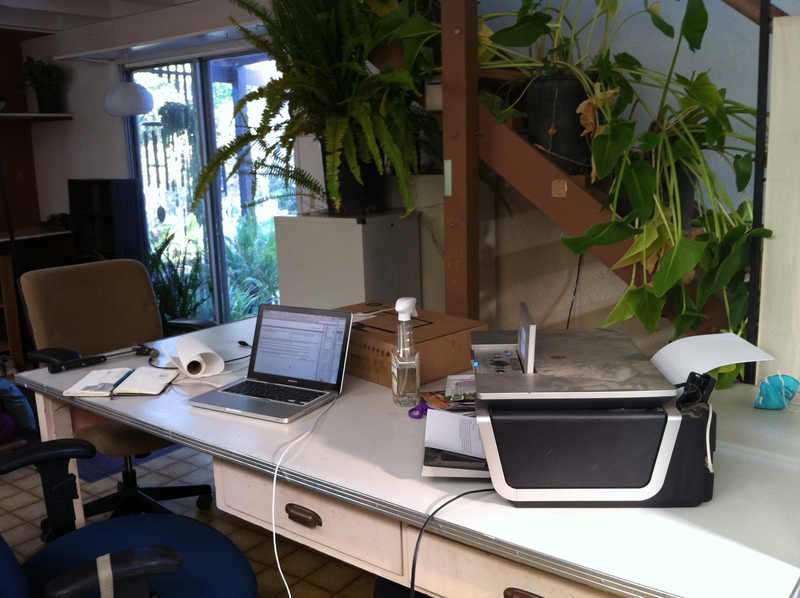 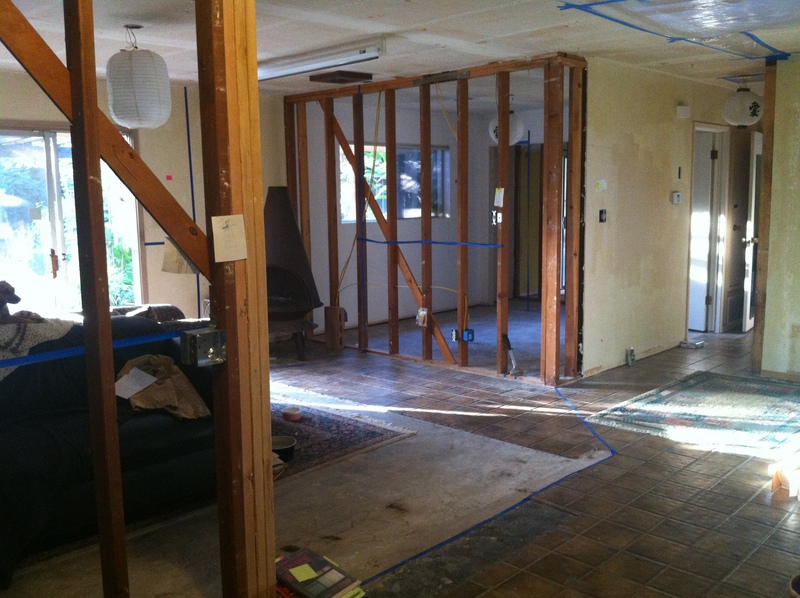 July 2012 brought changes to the inside of the house. 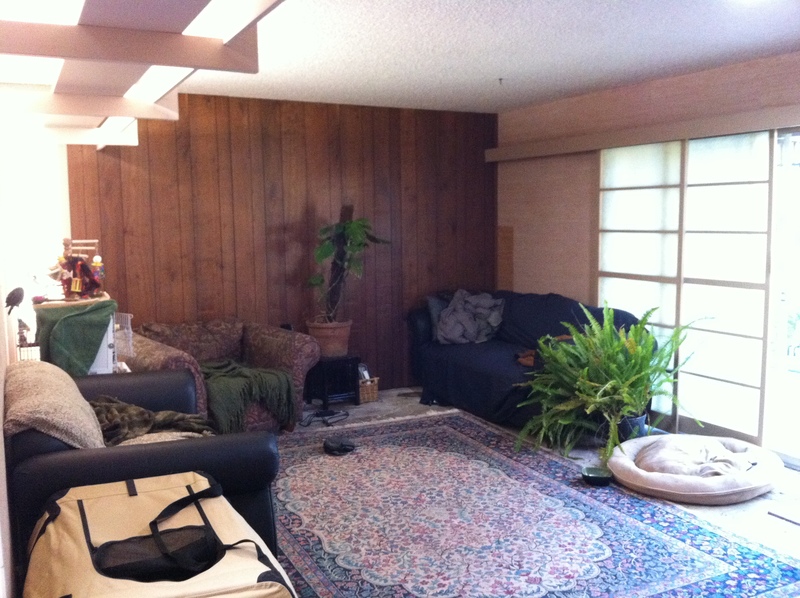 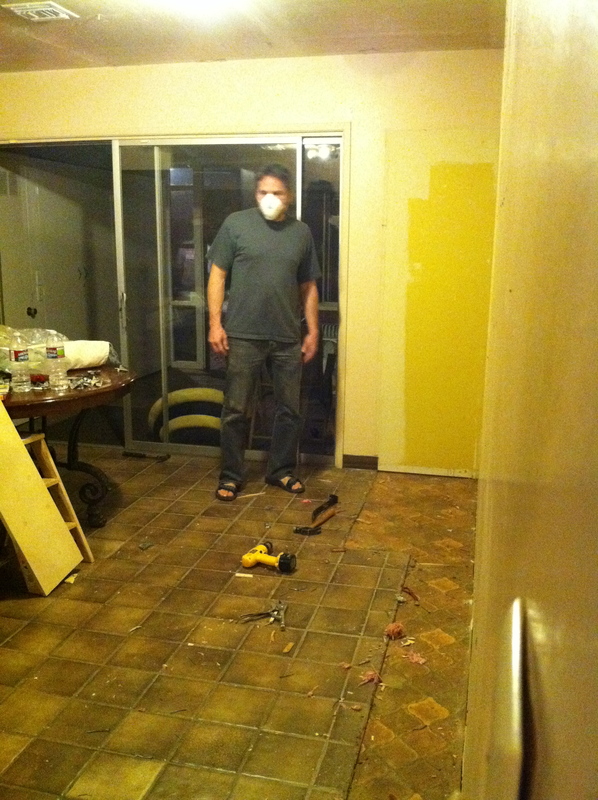 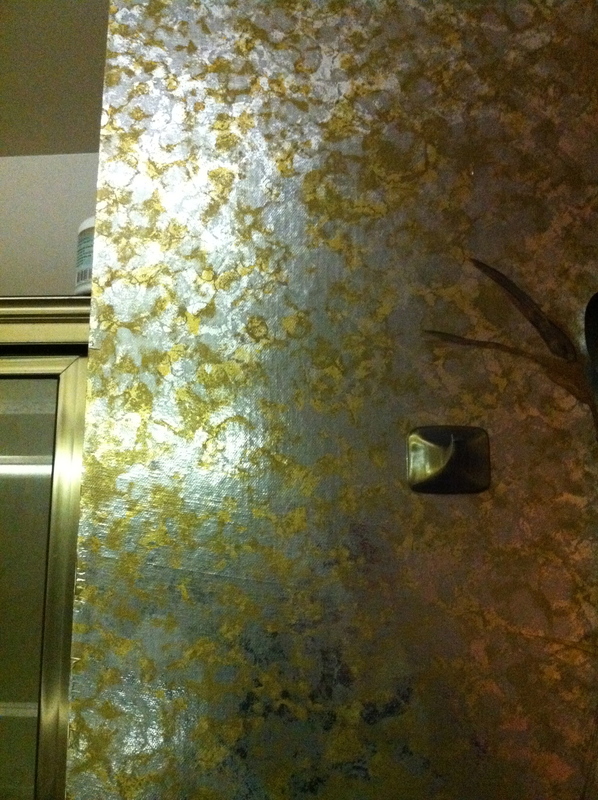 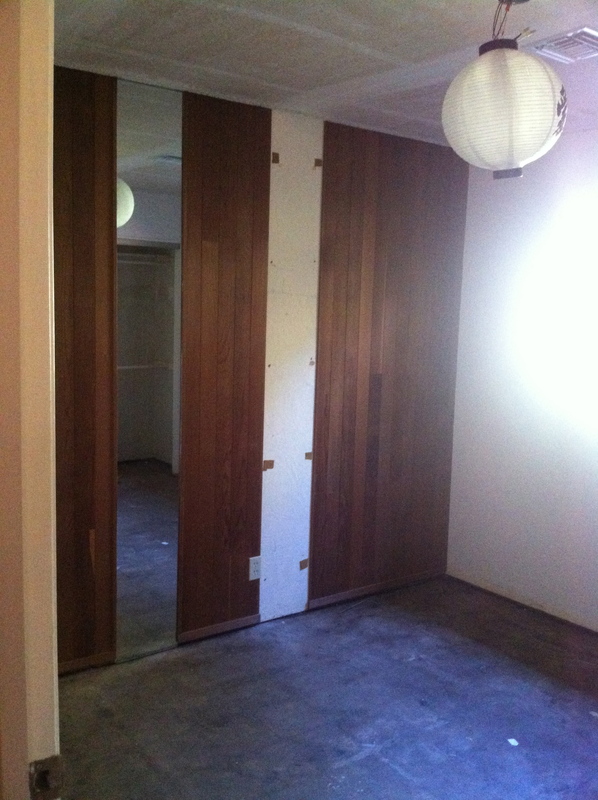 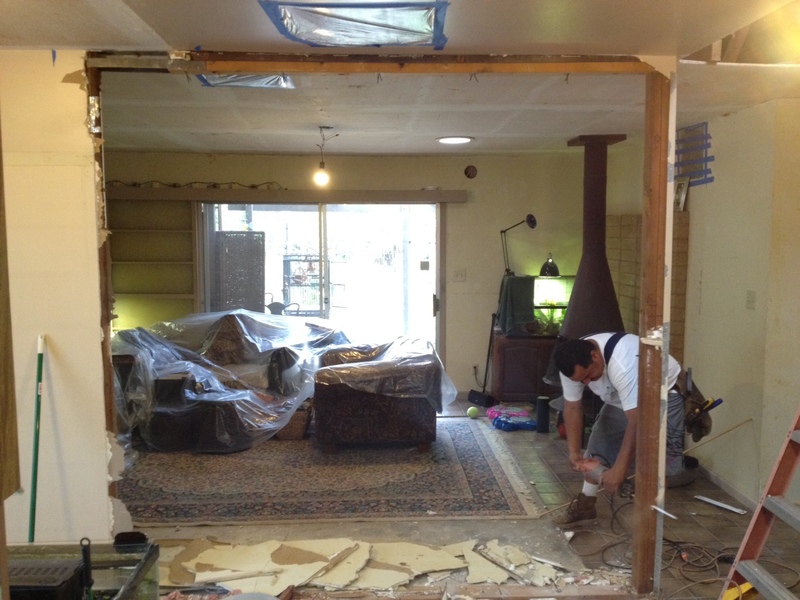 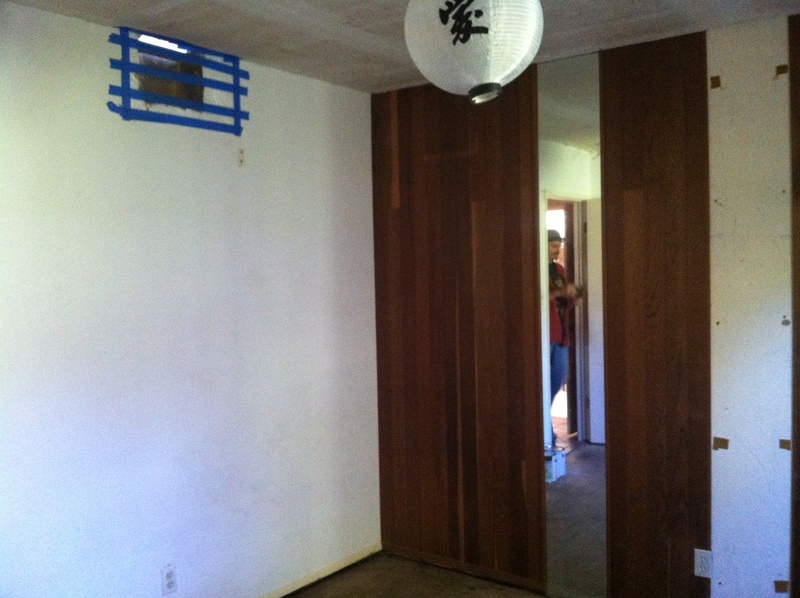 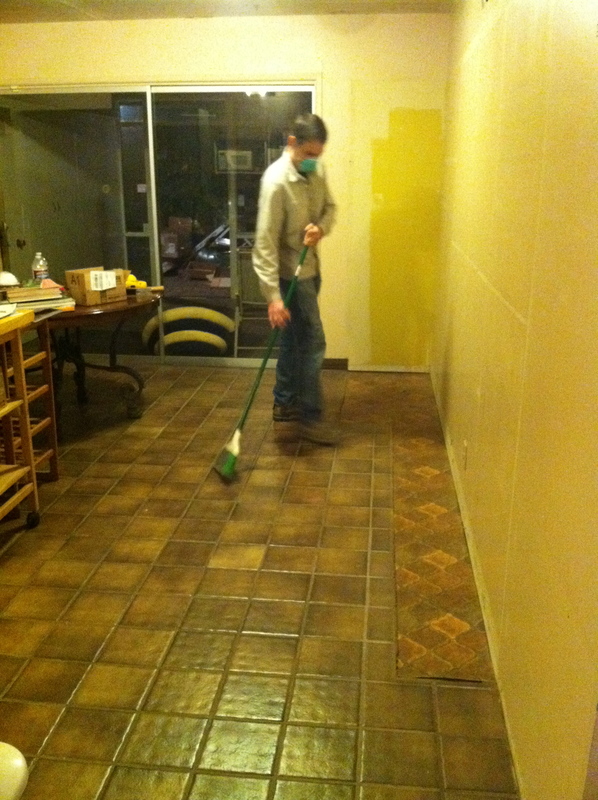 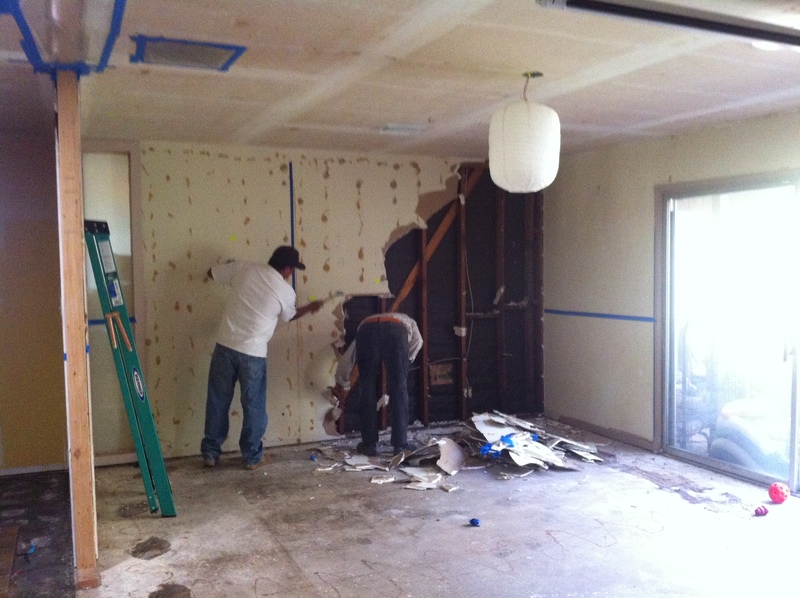 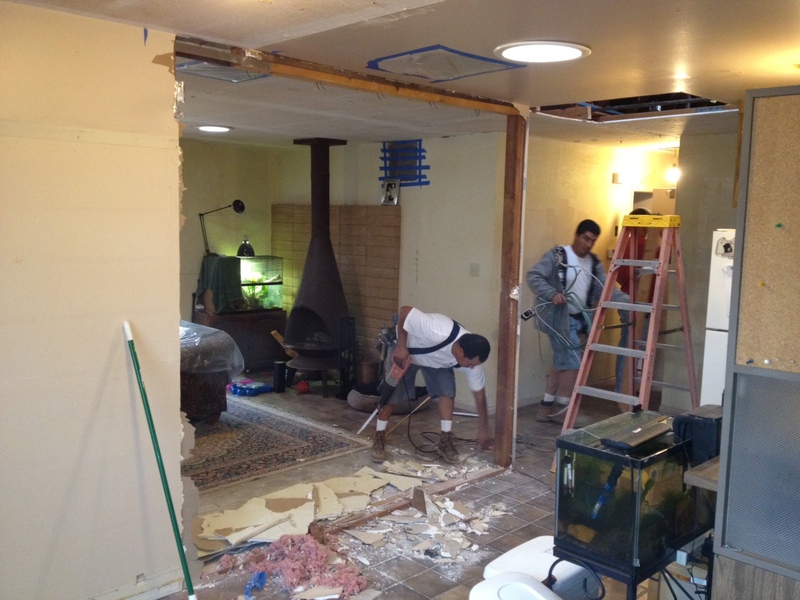 We ripped down the dark paneled wall in the living room and Paul’s office. 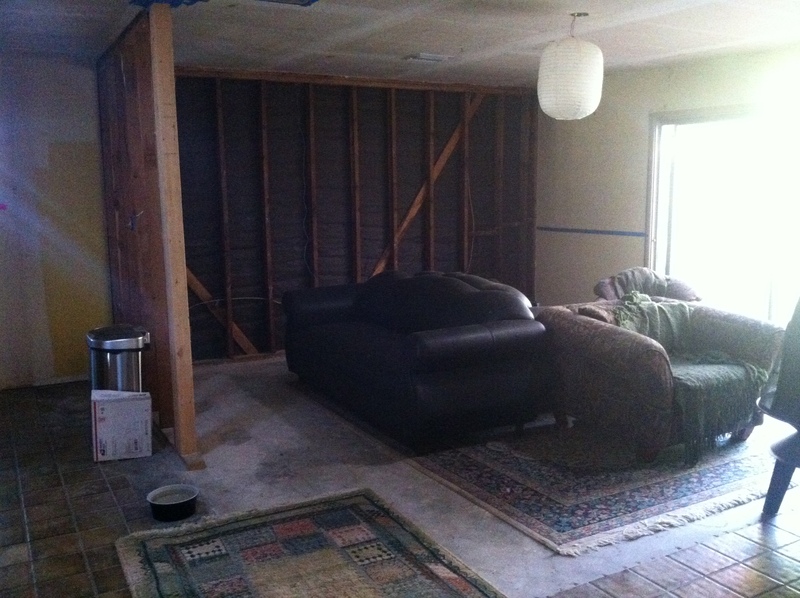 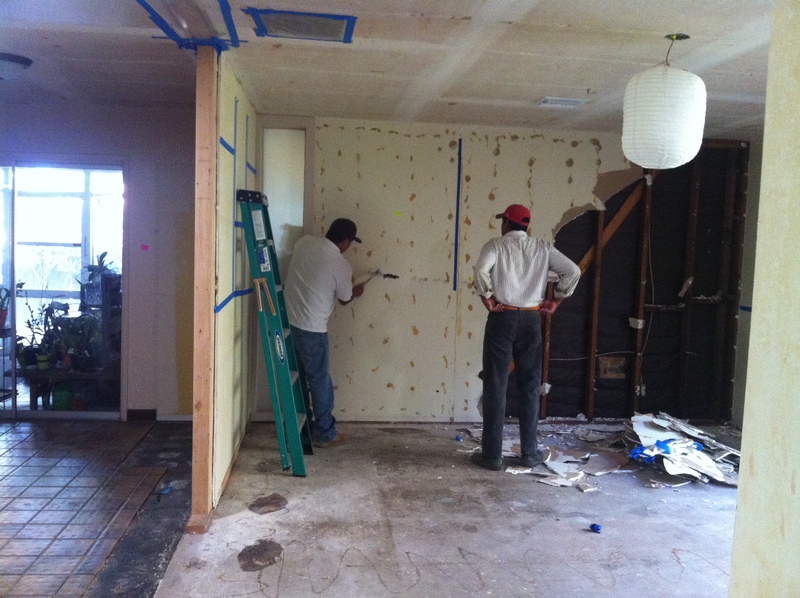 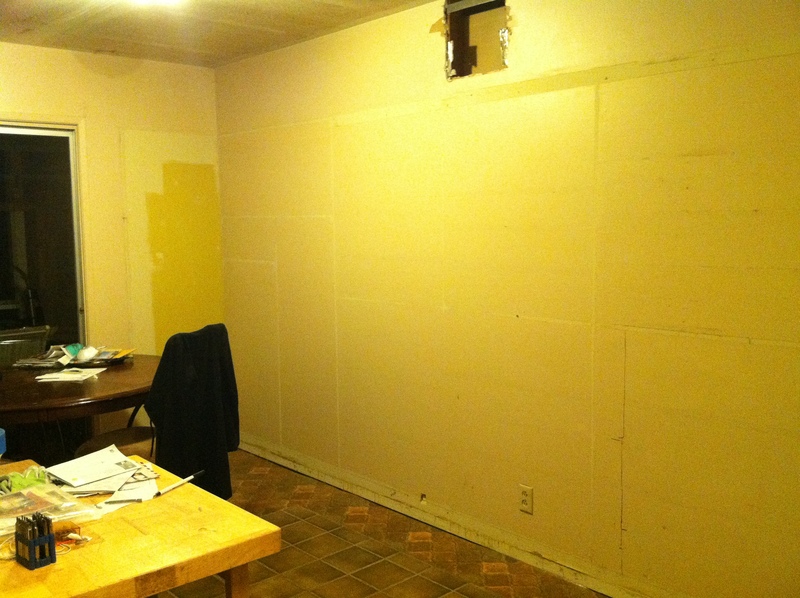 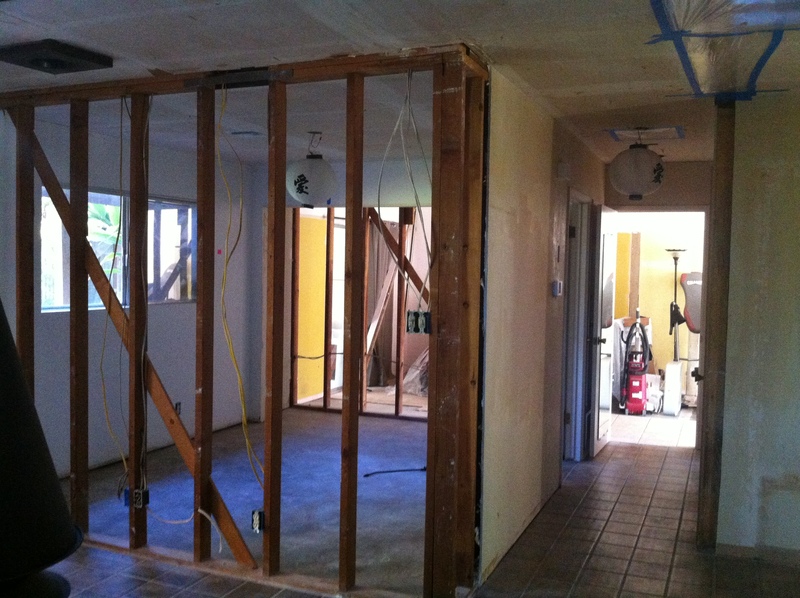 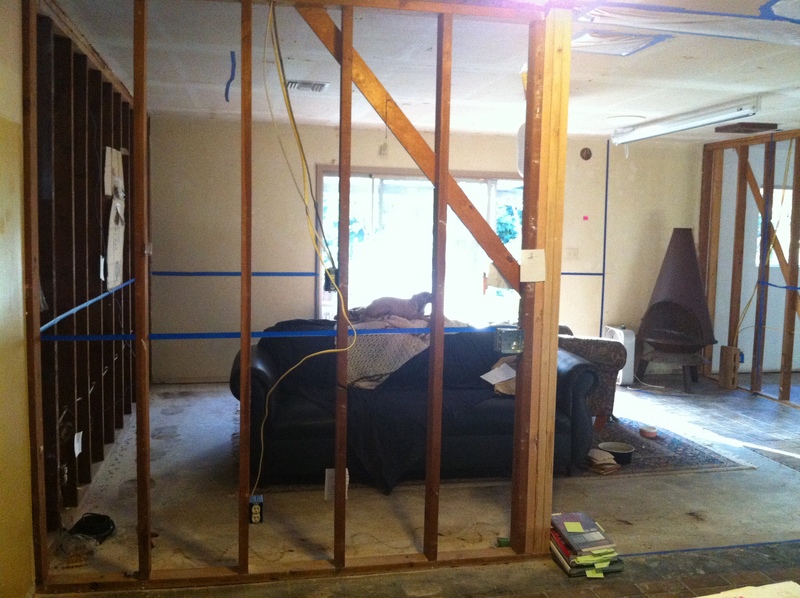 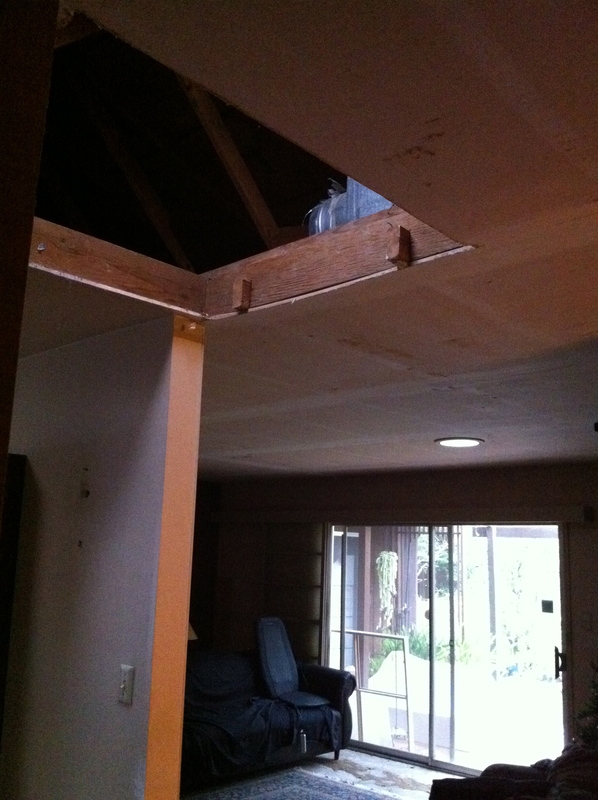 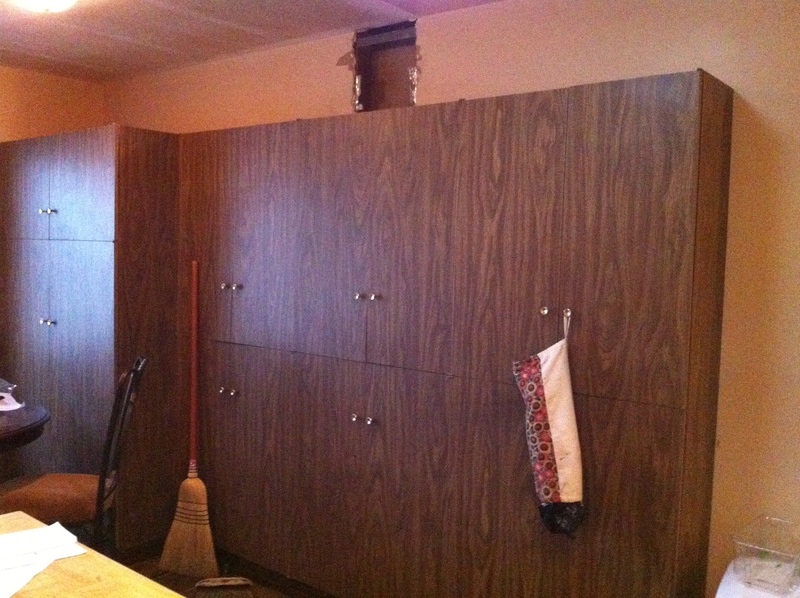 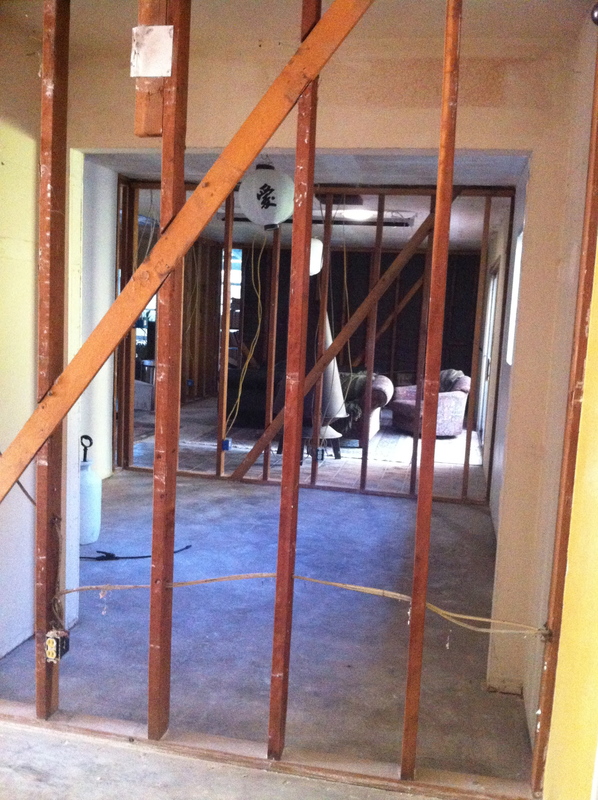 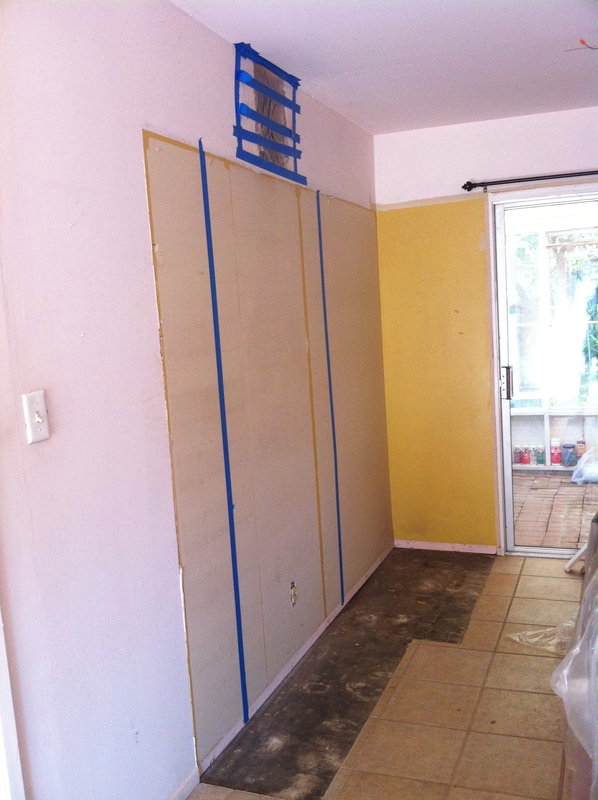 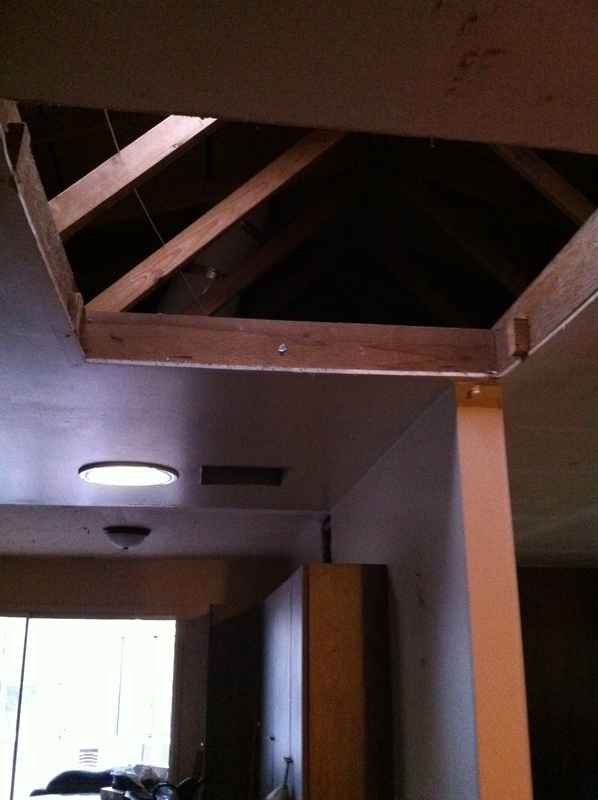 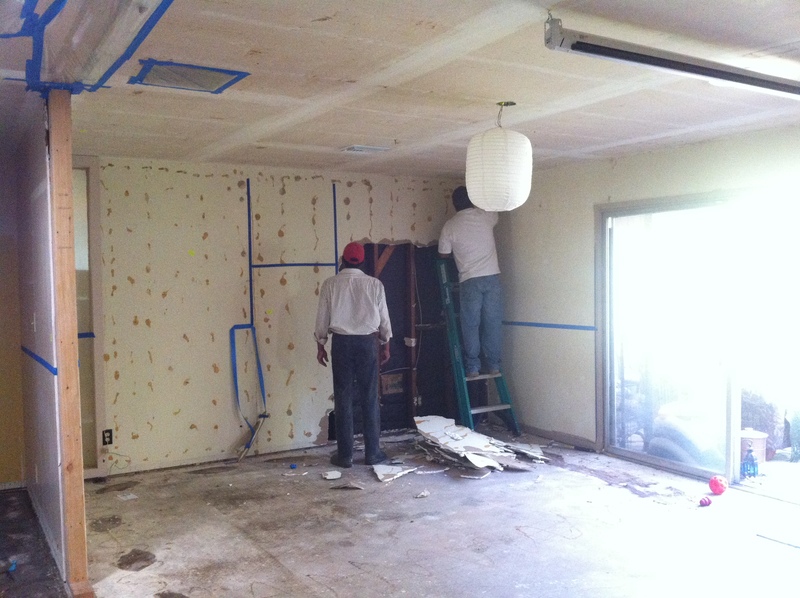 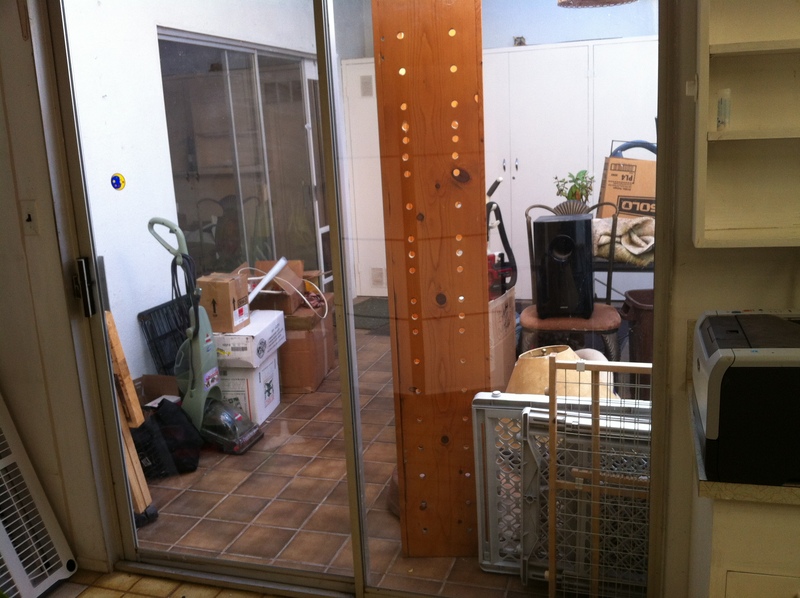 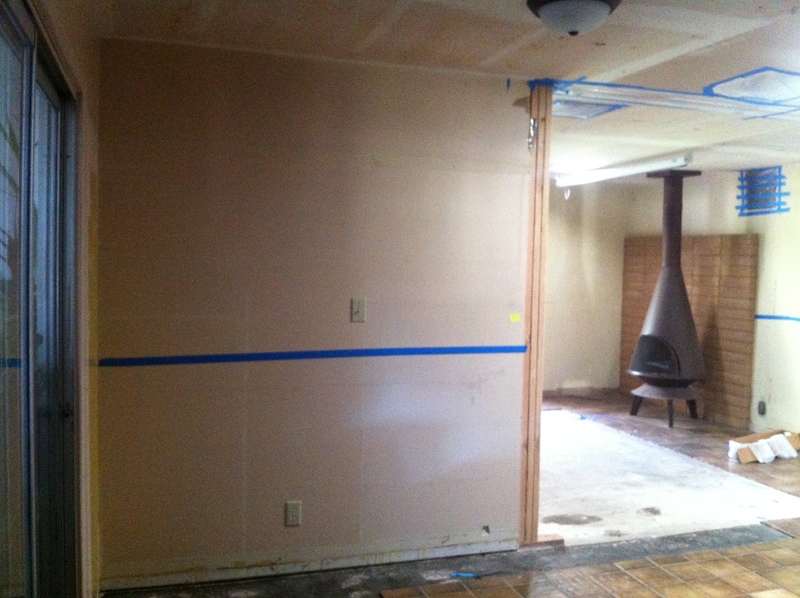 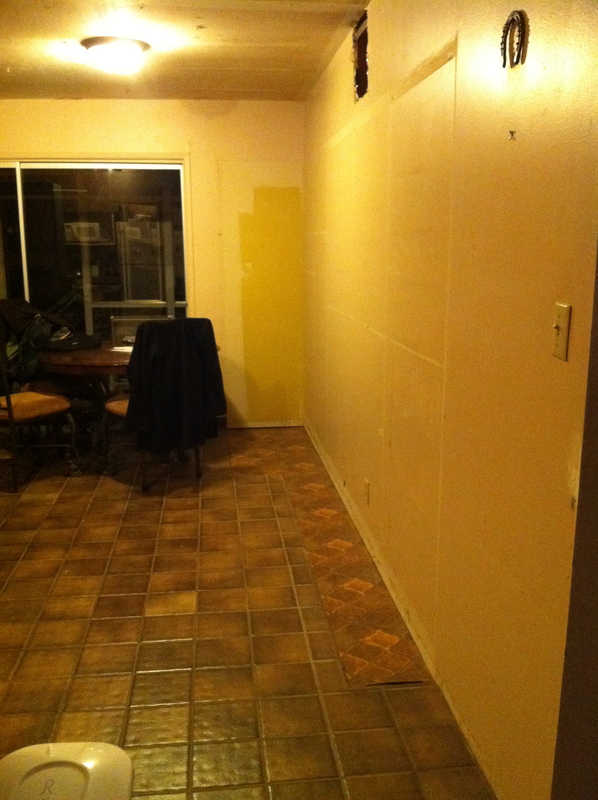 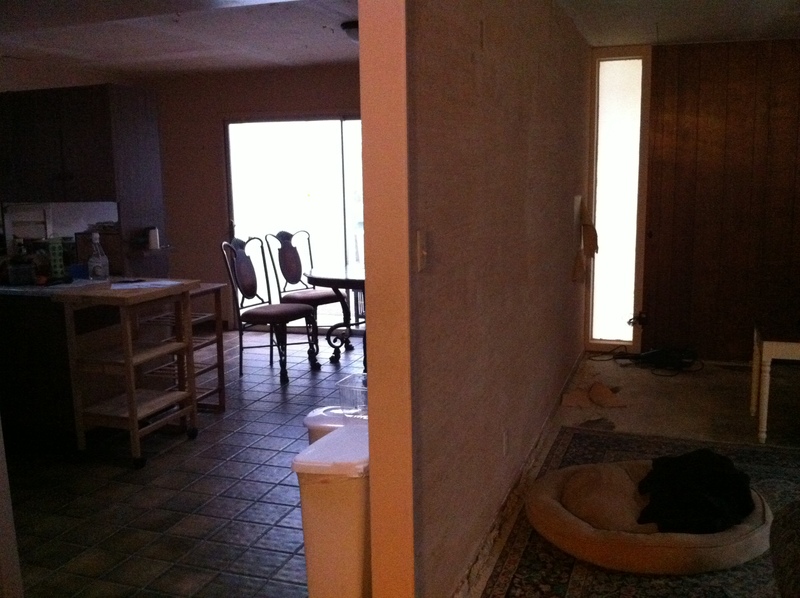 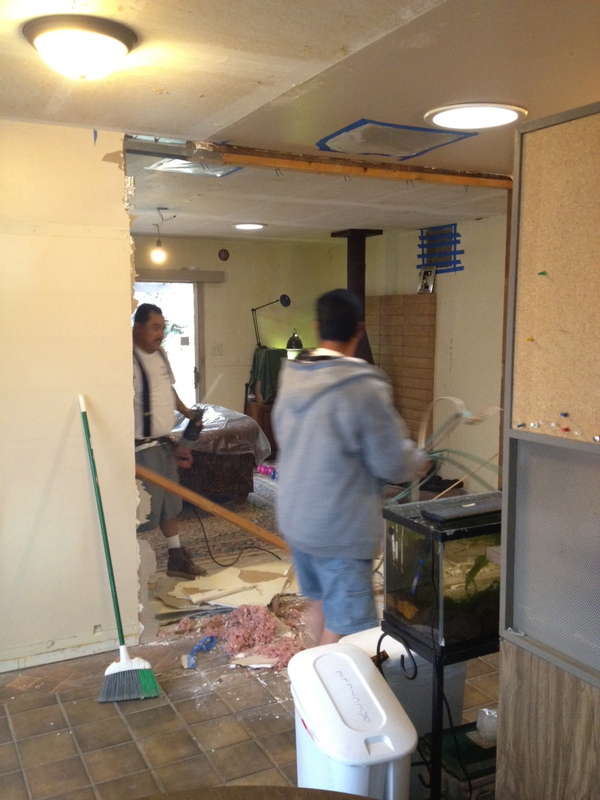 Also the partial wall that was between the living room and kitchen is further removed. 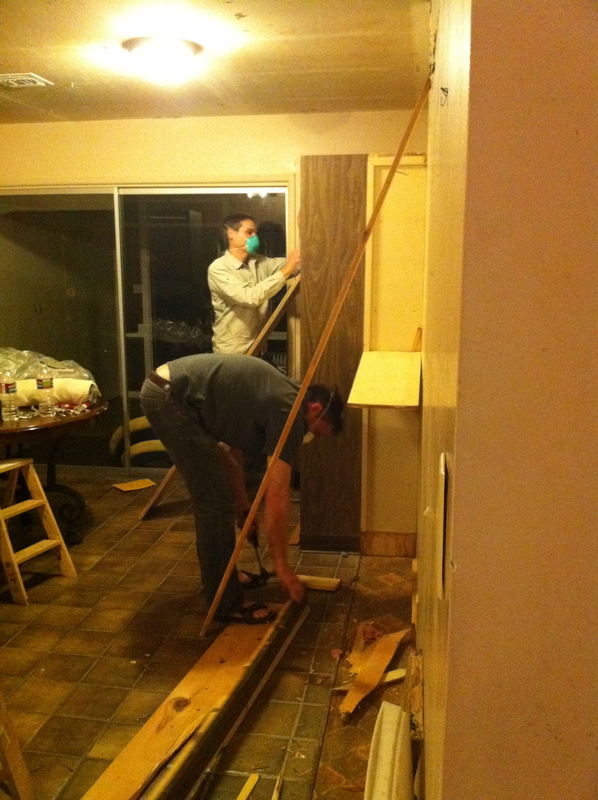 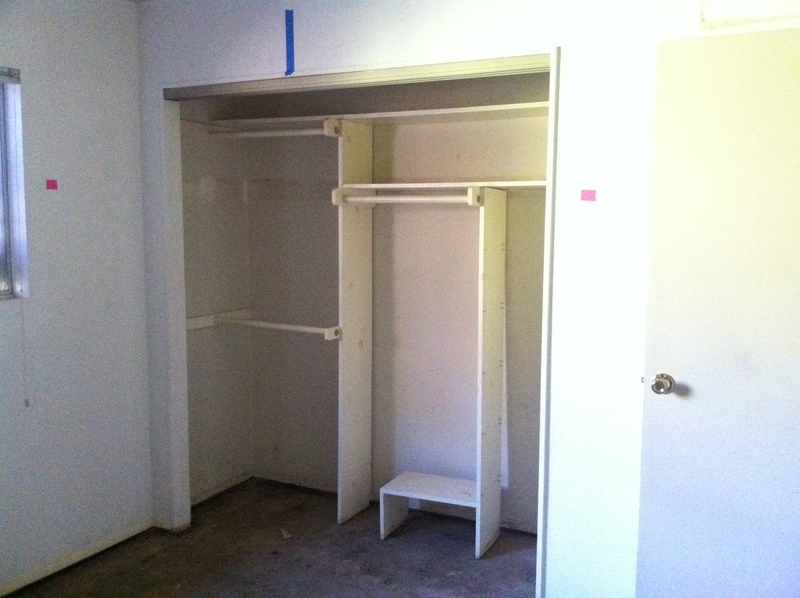 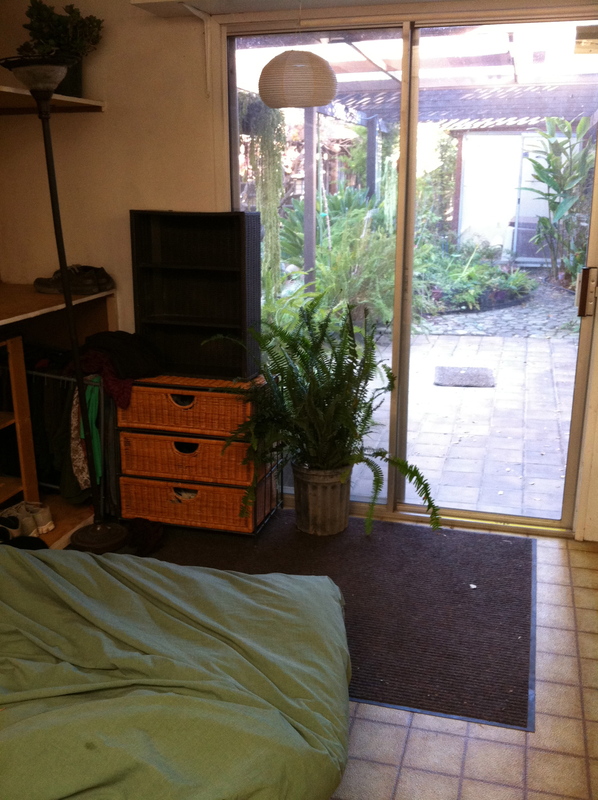 We ripped out the closet between the office and bedroom and are reframing all of it. 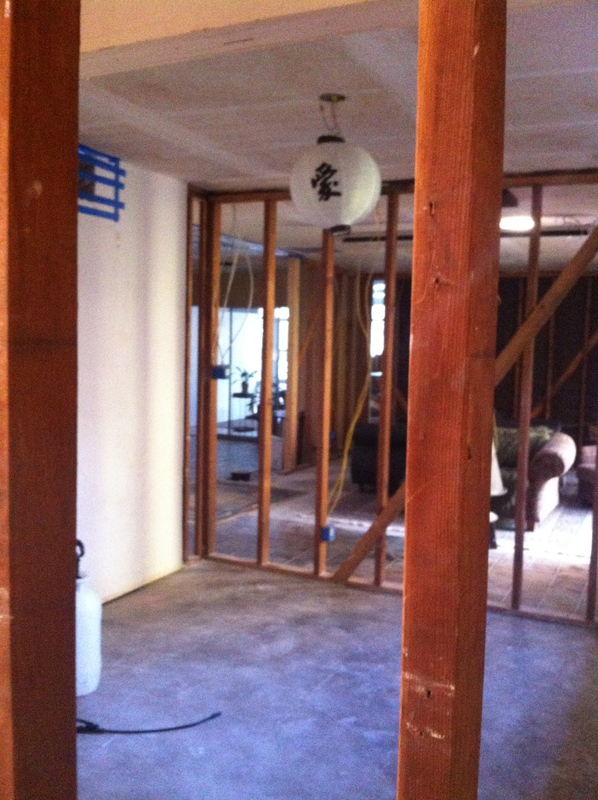 We now have no finished walls, floor or ceiling in the bedroom, office, living room, and part of the kitchen. 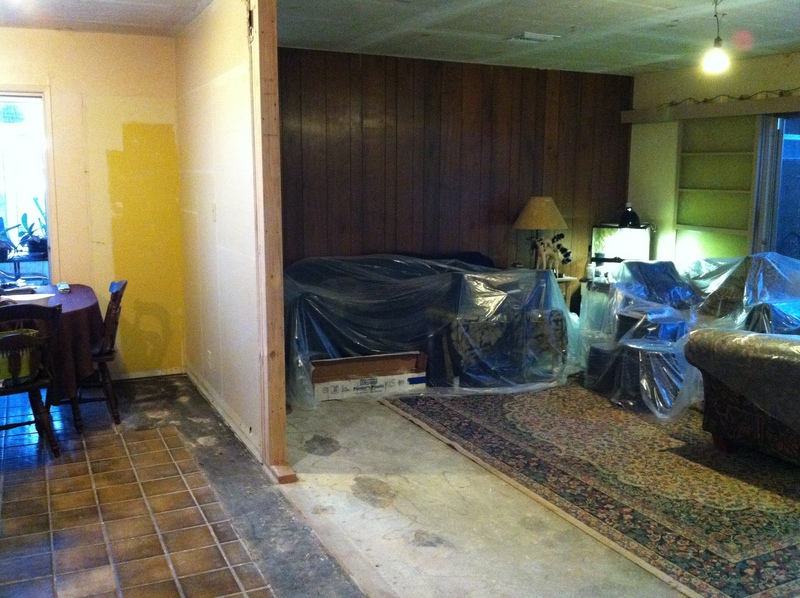 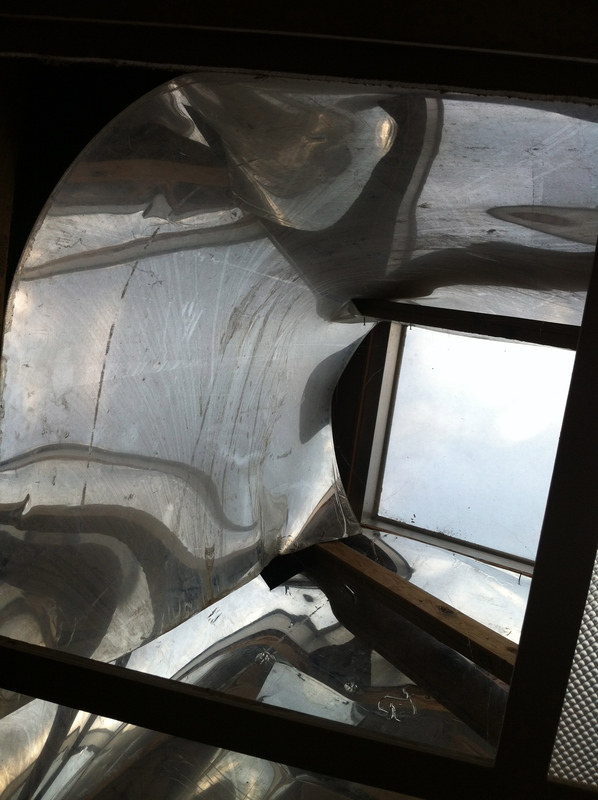 Our goal is to have it finished by Dec 2012 but with my travel it may be difficult.